Greentech Fuel Saving Device applies the newest Molecule Enhance Technology which is developed by Greentech and Taipei Medical University. 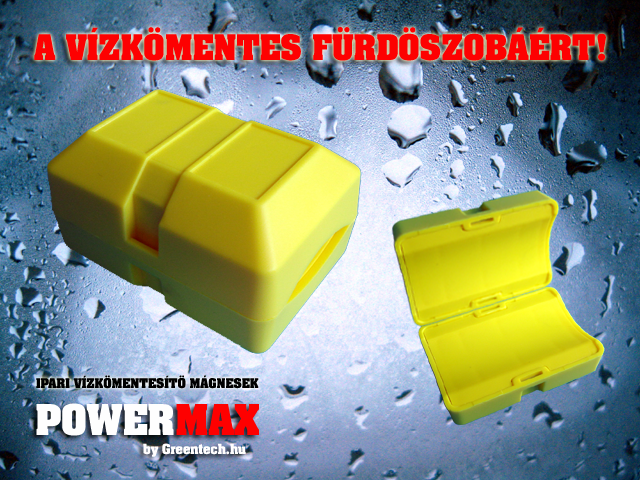 Please note, this fuel saver is NOT MAGNET, NOT TABLET AND NOT FUEL ADDITIVE MATERIAL! 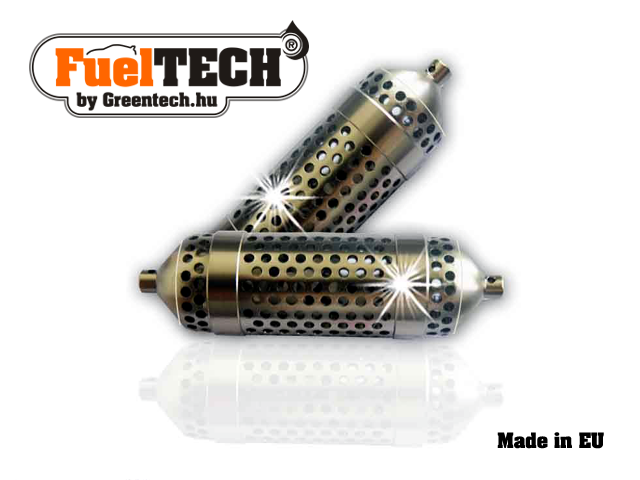 Simply by dropping the Greentech Fuel Enhancer into the fuel tank to contact the fuel directly can change the aggregation of fuel molecules from larger clusters to smaller clusters or even single molecule by breaking the Van der Waals Force among the fuel molecules. The smaller molecule clusters expose a larger surface area for better combustion reaction and consequently leading to greater fuel efficiency and less emissions. 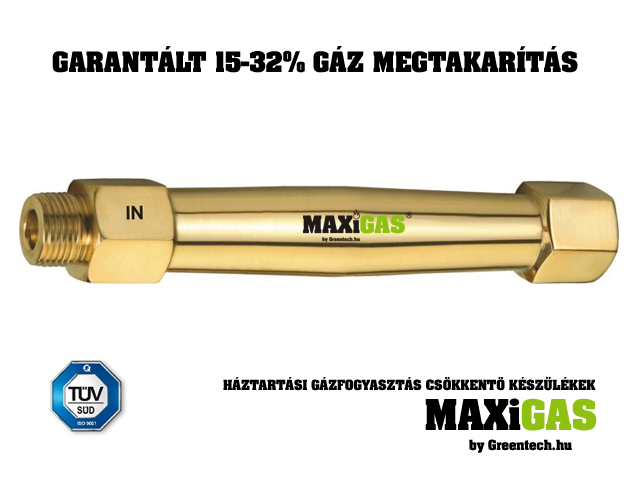 Our patented technology has been verified by sending our products to California CEE, TUV Rheinland Group and SGS, all of whom confirmed and supported our research data of up to 15-26% savings on Gasoline vehicle and up to 13% savings on Diesel vehicle. 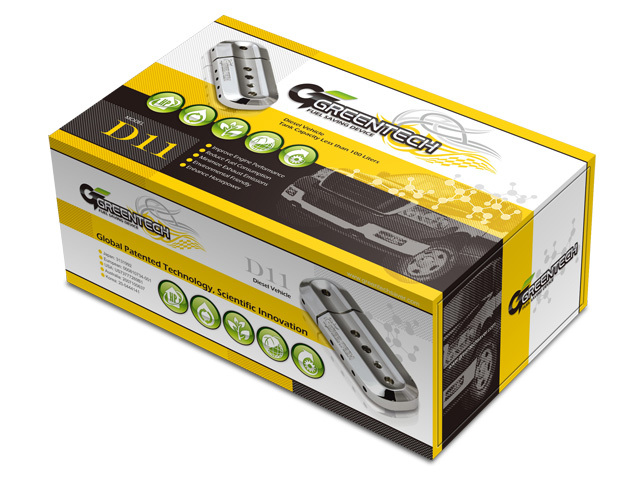 Greentech Fuel Saving Devices can be fitted into all kinds of the vehicle with no need to modify the vehicle and will not affect the vehicle warranty. 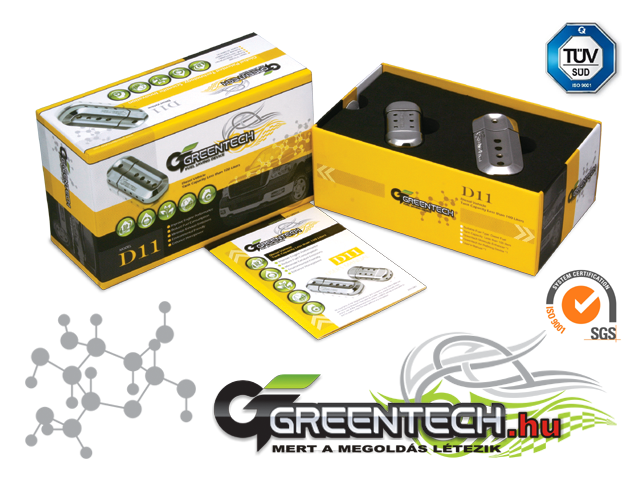 Greentech D11 Fuel Saving Device includes Greentech Molecule Enhancer and Air Refining Device. As long as the contact between fuel and Greentech Molecule Enhancer was established, the molecule enhancer can change the aggregation of molecules from larger molecule clusters to a smaller ones or even single molecule by breaking the Van der Waals force between the fuel molecules. 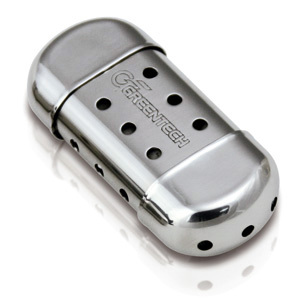 Moreover, the Greentech Air Refining Device can purify the air and increase the oxygen level in the air by neutralizing the pollutant floating in the air such as dust, emissions, germs, pollen, tobacco smoke, molds and all other species posses positive ions. The improvement of fuel and air can achieve the better combustion reaction in the engine to generate more horsepower and torque. According to the lab research from Taipei Medical University, the surface tension of the fuel was decreased by contacted with Greentech Molecule Enhancer; causing the smaller droplets of the fuel after it was ejected from the nozzle. The smaller droplets, exposing larger surface area in the air, contact with oxygen for better combustion reaction and hence better fuel efficiency. The large molecule clusters of the fuel always cause the incomplete combustion and produce emissions such as carbon monoxide (CO), non-methane hydrocarbons (NMHC), hydrocarbons (HC), and nitrogen oxides (NOx). The Greentech Molecule Enhancer can change the aggregation of fuel molecules from large clusters to a single molecule by breaking the Van der Waals force between the fuel molecules. 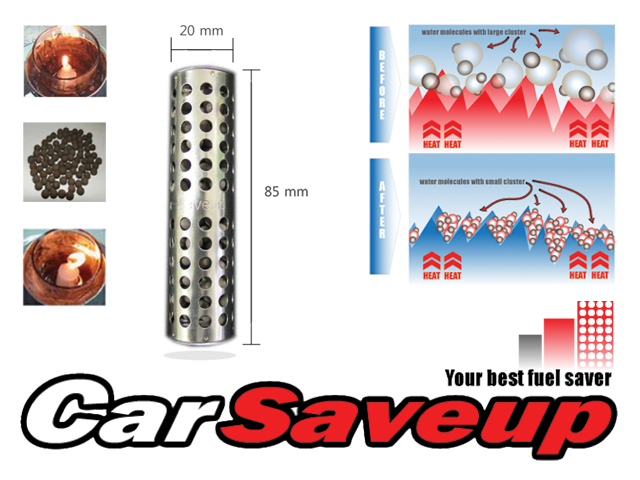 The smaller molecule clusters of the fuel can then achieve the complete combustion to reduce the exhaust emissions. 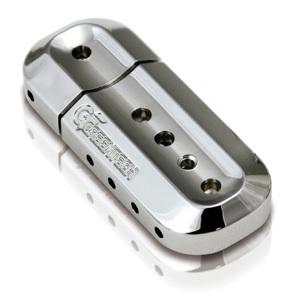 Greentech Fuel Saving Device applies our patented Molecule Enhance Technology which takes advantage of physical phenomenon instead of chemical reaction; therefore, there is no chemical reaction and catalyst involved. None of the materials used will be consumed during the process. Because of the physical natural, many research reports suggest, our patented technology can last for a very long time, more than 10 years at least. Wednesday, 24. April 2019. 6973493 requests since 2010. April 15.